Nearly 25 years ago, the Foundation began as a tiny group of dedicated individuals meeting around a kitchen table in Raleigh, North Carolina. We grew to become a bustling organization located in Austin, Texas, with an expansive network of nearly 5,000 dedicated members. Since its inception, the Foundation has provided over $1.6 million in support of RLS research, and we are still the leading organization for science-based education and patient services for those suffering from RLS. The Foundation also created a support group leader "RLS and Augmentation" tool kit, and released our RLS and Augmentation video, which has already been watched by thousands. The Foundation has also been active in educating the medical community this year by attending SLEEP, a joint meeting of the American Academy of Sleep Medicine and the Sleep Research Society, in Denver, Colorado. We were also present in November at the annual conference for the Society of Neuroscience in San Diego. Both events attract thousands of researchers and healthcare providers that are eager to learn more about RLS and other sleep disorders. We are so proud of all we have accomplished this year on behalf of the RLS community, but we could not have done any of it without the generous donations given by both members and nonmembers alike. Together, we have hit incredible milestones - big achievements executed by a small staff and a network of dedicated volunteers. To everyone who has helped us get to where we are, we thank you! When long-time RLS Foundation member Barbara Faraone sees the need for education, she takes action! 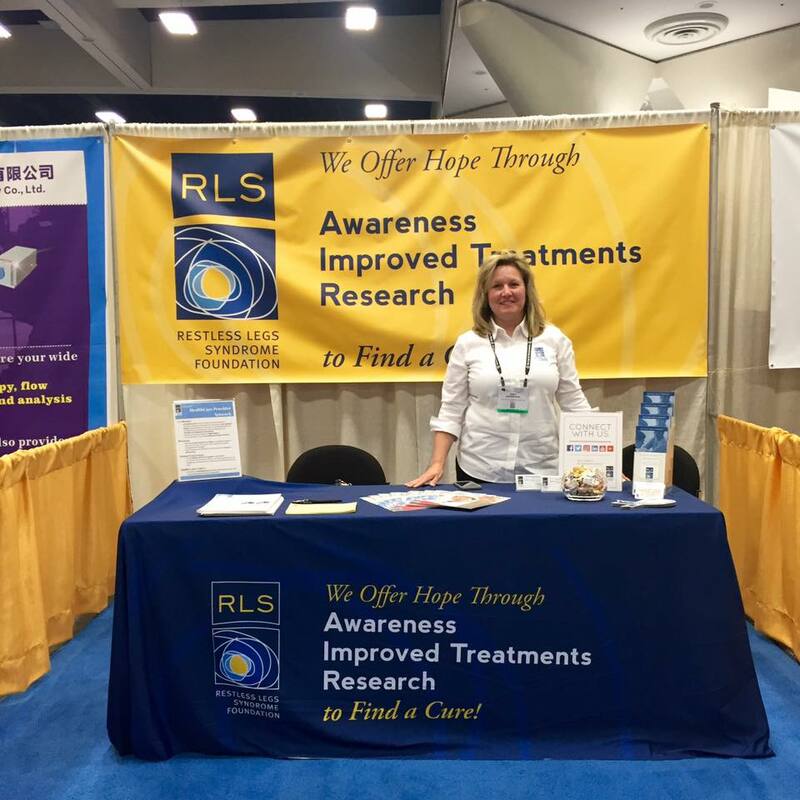 In the past several years, Barbara has purchased over 25 RLS Foundation gift memberships for physicians, nurses, pharmacists, hospital administrators and others to promote education and awareness about RLS. At the RLS Foundation, we are extremely grateful to individuals like Barbara who use whatever creative means they have to raise awareness for RLS. 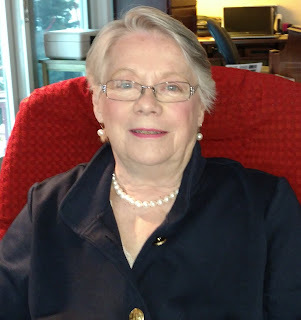 Barbara, thank you for making a difference – you are truly an RLS hero! I’m a 79-year-old grandmother who has suffered with restless legs since at least 18 years old, although I suffered from leg pains (or as the doctors used to say, “growing pains”) from a very young age. I remember going to high school and being so glad that classes were only 45 minutes long. I would always try to sit in the back of the room, as I was always moving about. I was often asked why I never sat still. I never really had an answer for people, but thought it was just me. Even going to college, my place was always in the back of the room; it was just plain uncomfortable to sit, and I preferred to stand. Thus, standing in the back of the room was enjoyable for me. I became a teacher of third grade, and that suited me just fine. I never sat at my desk. I was always about the room with my children, working on projects or just tutoring one-to-one, thus walking a lot. With age came marriage and two children. This, too, was always an active time for me. It was during this time that I began to notice that sleeping with covers over my legs was not good for me. The pressure of blankets just made my kicking in bed worse. I was never one to cuddle in bed, as the legs would not stay still. I did not know what to do to stop this kicking, and it was not welcome to my husband, as you can imagine. As years followed, I found myself being awake for many nights and often going from bed to couch to floor. I tried sleeping with my back on the floor and legs up on the wall or the back of the sofa. I tried hot baths, warm milk, Bengay, soap under the mattress, and any other odd suggested thing to try, of which there were many. I must say that a scotch and water would often calm them during the evening, but it did not last through the night. I soon learned to exist on three to four hours of sleep and sometimes an afternoon nap. I just figured it was something I had to live with. I might add that I had all the muscle and nerve tests done over a period of years, but nothing seemed to show up wrong. Doctors were of no help until my general practitioner went to a lecture about RLS at the local hospital. When he came back from this, we started in on the approved medicines available at the time. That was some 20 years ago. Since then, I have tried them all in many combinations. They would seem to work, but within a short time I was right back to my old self of discomfort most of the night. When the discomfort turned to pain, I began the treatment of painkillers. Yes, they worked, but got to be an all-day thing. And oh my, what it did to my system and mind. This was awful. I had to come off them. I went to an RLS meeting in San Antonio and met the folks there. With their help, I made contact with a specialist at an institution that is now a certified RLS Quality Care Center. I call him my “savior,” as with his help and methadone, I do sleep, and my life is somewhat normal – or what I think of as normal. My legs are not really still during the day, but my friends have gotten used to me always moving. Thank goodness for friends. My legs hurt most of the day, but during the night they are quiet enough that wherever I fall asleep, I sleep – whether it be in bed or on the couch. 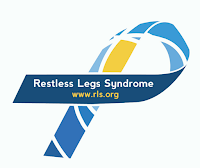 Now, I have asked for years, what can I do for others who have RLS? Yes, I can contribute to the RLS Foundation, and it does help, especially in research. But I feel that I need to do something more to help educate medical providers. So … I have been buying RLS Foundation memberships for all the doctors I meet in the hopes they will read NightWalkers and maybe learn something. Maybe they will believe what I say to them. For example, I found a local hospital was advertising that they treated RLS. I went to see the doctor, only to find out he knew nothing of RLS. In fact, he called my druggist, as he thought I was addicted and needed help, and had no idea the uses for methadone. My druggist, who has a subscription to NightWalkers, gave him a 15-minute lecture as to the uses of methadone. I had the RLS Foundation send the doctor and hospital administrator a gift membership with information about RLS and a copy of NightWalkers. I think my count of current gift memberships is up to something like 12 doctors and hospital administrators, and then I add friends or nurses or whomever needs an education about RLS. Has it made a difference? I don’t know, but I do know they are getting the correct information, and this can only help in the future. An excerpt from the Summer 2016 edition of NightWalkers, the Foundation's quarterly magazine. Become a member today to receive this and other member benefits! Many RLS sufferers also avoid any triggers that may exacerbate their symptoms, like caffeine or alcohol. For more information on lifestyle choices that can help with your RLS symptoms, visit our website. If you are driving, try to make stops to stretch your legs and walk around. When flying, it's always good to let the flight attendant know about your RLS, and ask if you can stand in certain areas without disturbing others during the journey. Booking seats in first class or emergency exit rows will also typically provide more leg room. Want to request a special accommodations card? 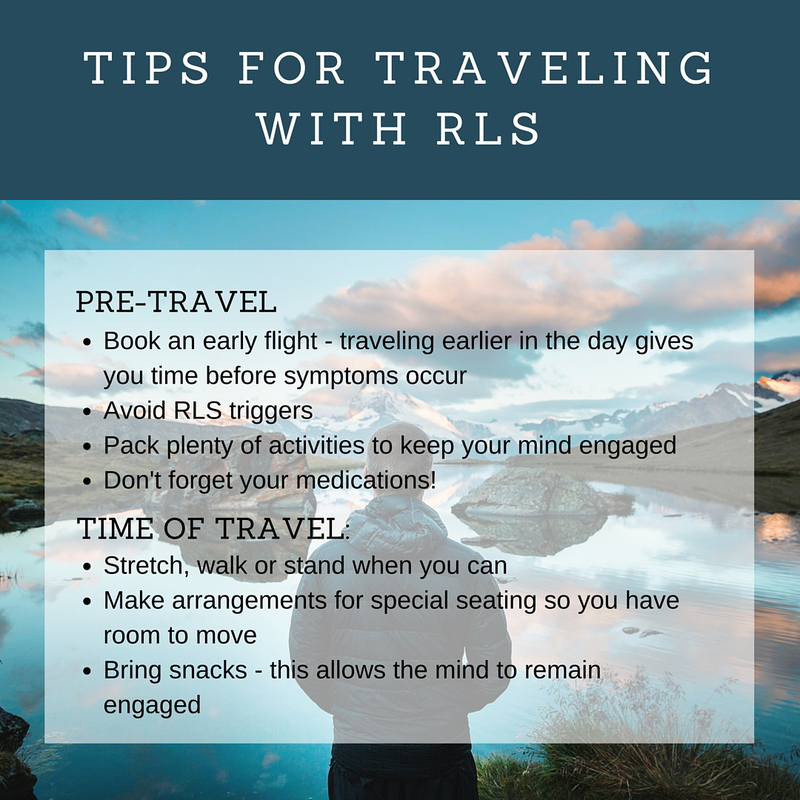 The Foundation has a card available to share with flight attendants, drivers, healthcare providers, or others that may need additional information about your RLS. Become a member today to receive this and many other member benefits! For additional strategies to try, check out this Buzzfeed article. Have safe and happy holiday travels, everybody! With the stress that the holidays can bring, it's a comfort to know that you are not alone in your struggles with RLS. The RLS Foundation's discussion board provides an avenue for individuals to post anonymously about their symptoms, treatments and other coping strategies. It is a supportive, hopeful environment for those who are looking to share their RLS stories with others who know exactly what they're going through. Non-drug therapies (methods of relief that don't involve swallowing or injecting anything), including compression, heat, light, stretches, acupuncture, etc. Substances that are ingested, inhaled, or otherwise consumed for the purpose of relieving RLS, other than prescription medications. For example, herbal remedies, nutritional supplements, diet, kratom, and marijuana (for now) should be discussed here. Tell others of successes, failures, side effects, and any known research on these substances. Prescription drugs, iron injections, and other medical interventions that involve the introduction of a drug or medicine into the body. Discuss side effects, successes, failures, published research, information about drug trials, and information about new medications being developed. RLS occurs more frequently in certain populations, including people with end-stage renal disease, women during pregnancy, and people with iron deficiency. RLS in the elderly and children brings other challenges. Sharing your experiences may be extraordinarily helpful to others. Everything Else... Just No RLS! It's nice to realize that there is life beyond this disease and have an opportunity to get to know our online family in a different context. To get started, learn more about the simple, free registration here. Questions or concerns? Contact the discussion board moderators at rlsfmods@rlsgroups.org. Remember posts and information on the discussion board are based on personal experiences and recommendations; they should not be considered a substitute for the advice of a healthcare provider.